In order to compare these two scenarios, I make the following assumptions. 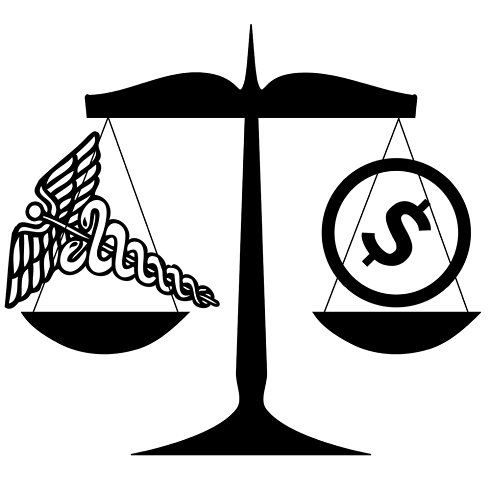 Your individual situation may vary depending on your chosen specialty of practice. 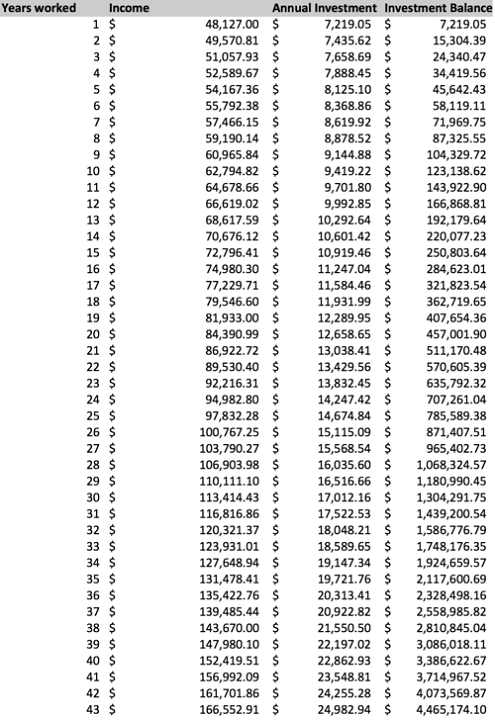 Notice I did not include student debt in my modeling as I expect you to pay for that along with all other living expenses out of the un-invested 85% of your income. 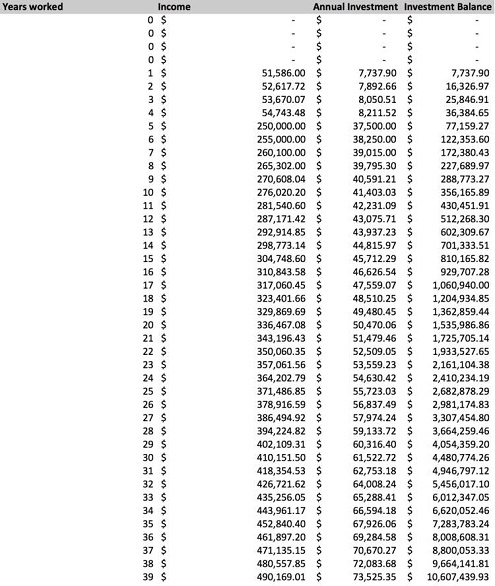 An editable Excel Spreadsheet is provided HERE if you would like to play with the numbers. 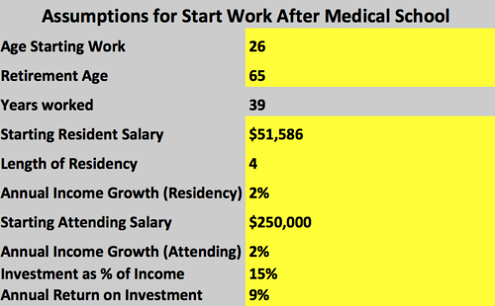 As you can see, despite delayed entry into the workplace, physicians still come out ahead compared to their friends who start earning an income immediately after college (on average). 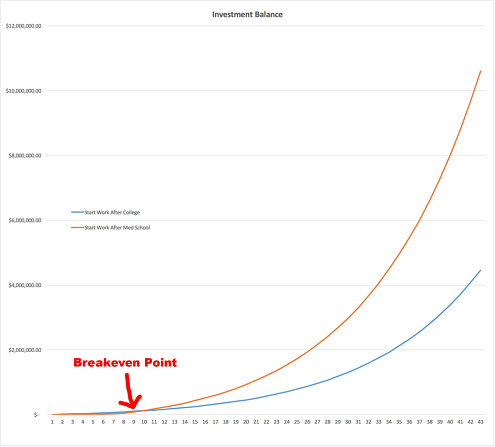 Given my assumptions, the breakeven point where you catch up with your friends in term of investments is ~10 years after college. Want to enter your own assumptions? Download the editable Excel Spreadsheet here.